Standard windows with shutters - 9 x 9 glass window. It is a fixed, non opening window.. 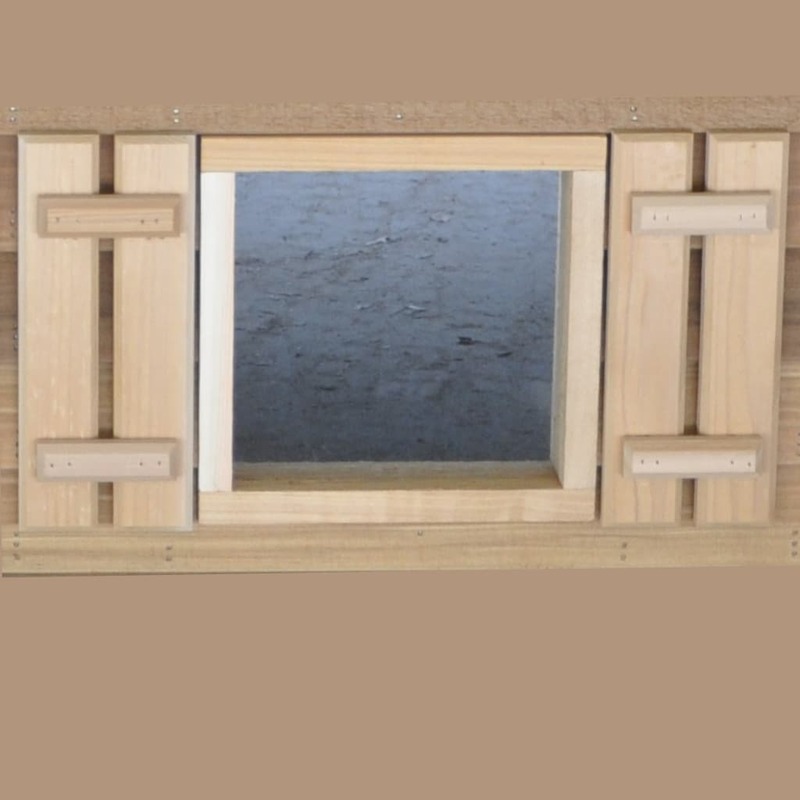 This window will come standard in the Catillac cat house, Extra Large dog house, Giant, and Godzilla. It will be an option for the Large Single Door Duplex and Goliath Single Door Duplex, in the quantity of two. 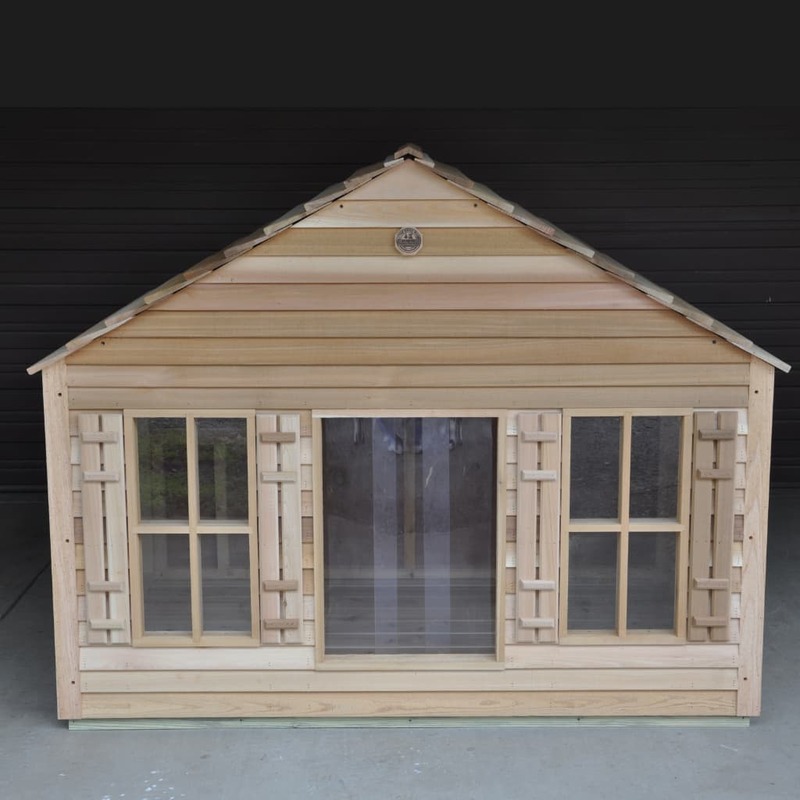 Extra Large Windows with shutters - 12" x 24" glass window. It is a fixed non opening window. This window will be an option for Goliath Single Door Duplex, in quantity of two. 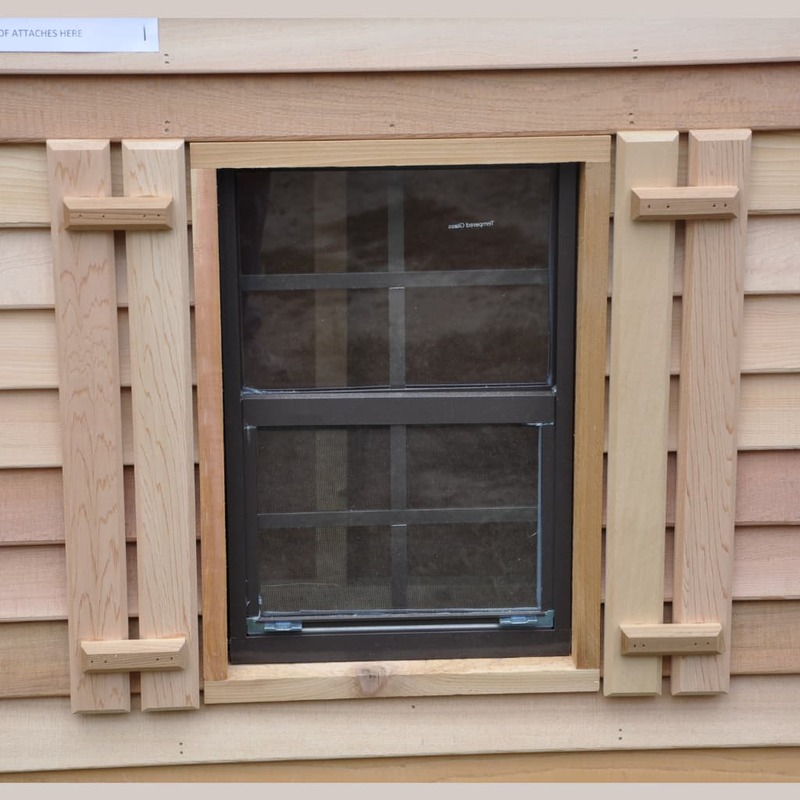 Sliding Window with shutters - 12" x 18" glass window. 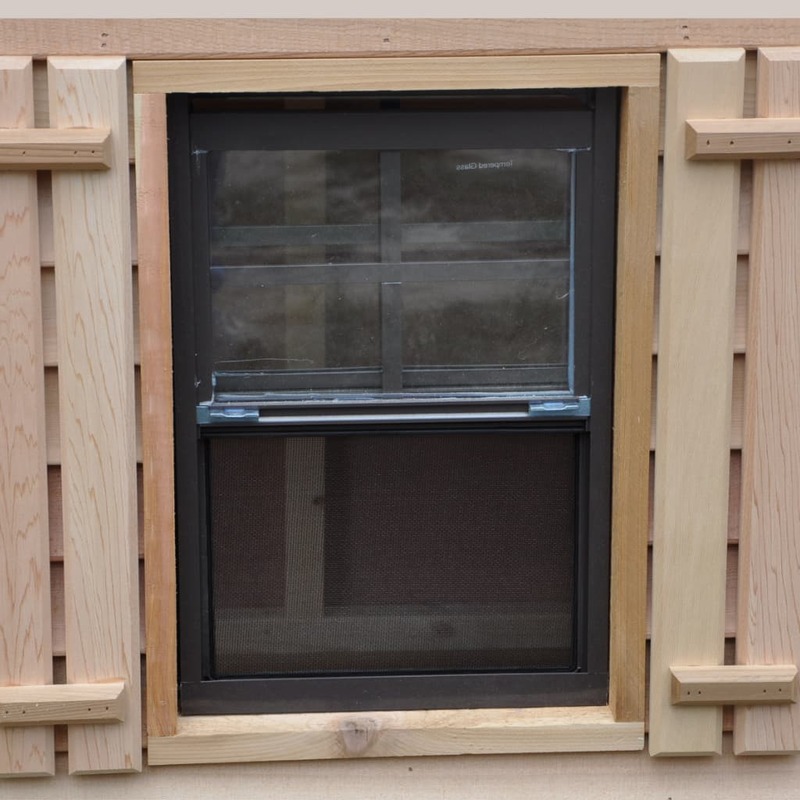 It is a functioning window that opens to allow ventilation of the house. This will be an option for the Goliath Single Door Duplex in quantity of two. An option for the Giant and Godzilla in quantity of one.